I guess it’s safe to say I’ve been a watchNUT for years! Found this picture while digging up some old baby pictures to prove to my wife that my new son looks more like me. I don't remember what kind of watch that was, though I do remember getting a Fortis True Line automatic from my Dad a long time ago. Maybe this was the one? 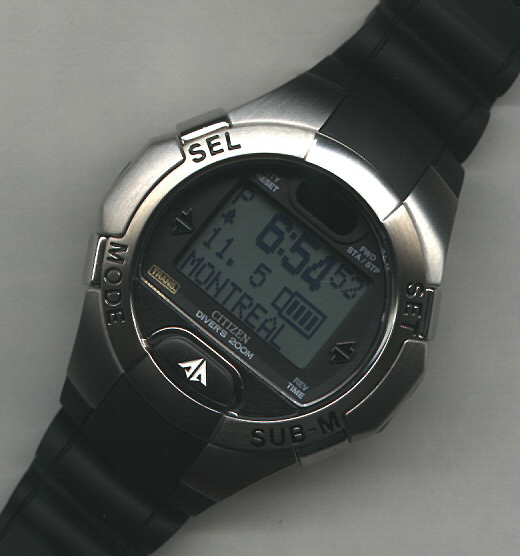 A few years later, on another Christmas, I received a Timex Triathlon 100m sports watch. One of the original red/black versions. 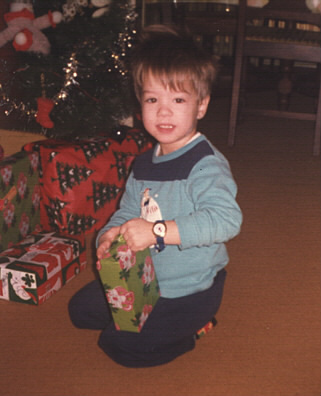 This is my fondest childhood Christmas gift memory and to this day, I credit that watch for my fascination with digital timepieces. Since then, I have had many other digital watches, such a Casio G-Shock, a Lorus Chrono, another Timex Triathlon, a Seiko 200m Digital Dive watch (plastic version). The one thing they all had in common was plastic. The problem is I always liked BIG, solid stainless steel watches and none of these remotely felt right. A couple of years ago, I got myself a Citizen NaviSurf, a neat watch with many great features, but unfortunately it wasn’t in very good condition and there was this tiny scratch on the dial that drove me NUTS. So I wound up trading it off. If you are interested, CLICK HERE for its review. Since then, I got the above SkyHawk. Finally a multi-function watch I could play with until I was blue in the face without draining the battery! It was solar powered, or ECO-Driven if you like and has a power reserve of 4 years when in power save mode. Again, a very cool watch, but for some strange reason, it wasn’t for me. As some of you may already know, I have a thing for dive watches and I needed a fix. So off to the chopping black this went. It sold it almost instantly, along with a few other inexpensive pieces. A very impressive watch and since I was quiet impressed with the original BC3, (REVIEW HERE) I figured this would be quite the watch for the money. After getting a few quotes from some friends “On-Line”, I decided against it. 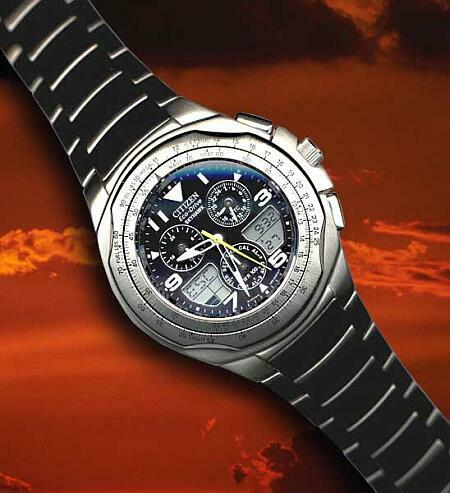 Not because of the money, but because I already had a black faced mechanical dive watch. My Omega Seamaster America’s Cup Edition (ARTICLE HERE). 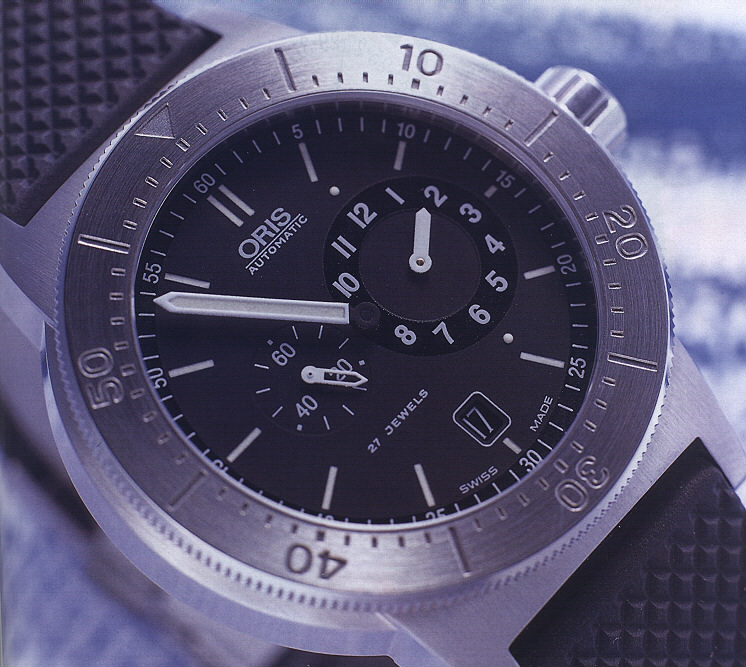 I knew that shortly after I got the Oris, I would probably go back to the Omega and wind up right back where I started; trading the Oris. Now that I was completely confused, my friend Mannu Gilani from the UK e-mailed me and offered his newly acquired Cyber Aqualand. Thinking it was beyond my meager means, he offered it at an unbelievable price. Mannu and I have been helping each other with watch purchases/trades for years and he knew my budget was limited, so he gave me a break. As a matter of fact, I still owe him one. So far it’s been a lot of fun and here is the FULL review for you to find out all about it. ENJOY!! !